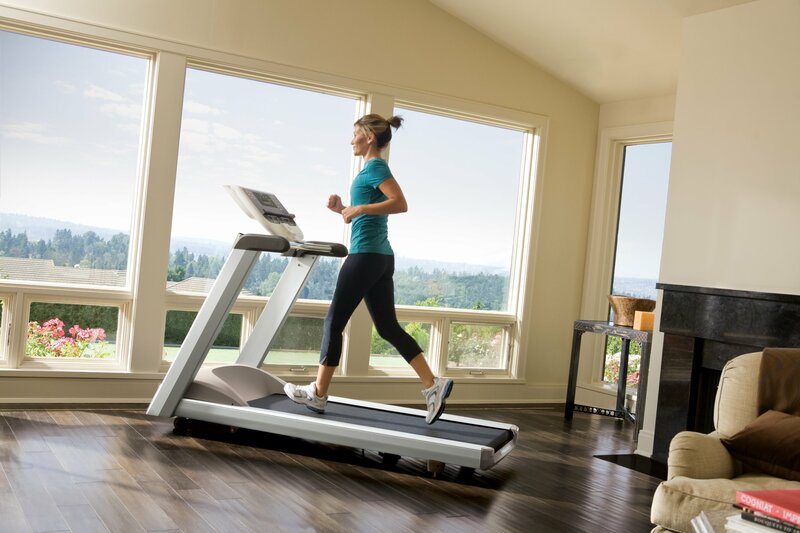 The Precor 9.33 Premium Series Treadmill is a powerful device designed to help individuals that want to stay in shape from the comfort of their home. The device is designed both for those who just want to go for a quick walk and those that want to truly push themselves with fast running. The treadmill allows runners to vary the speed dynamically simply by running faster instead of having to adjust an electronic control. This means the device is safer and easier to use since users won’t have to waste energy and focus adjusting the belt speed during every run. Comfort – The Precor 9.33 is truly designed for those that want to have a comfortable, healthy run from the comfort of their home. The device includes a suspension system that cushions the impact of feet landing on the device during intense runs. This means that in the long run, runners will stay healthier because the treadmill will be easier on joints that generally suffer from the stresses of running. The treadmill can even make adjustments for lateral movements by stabilizing particular sections where a leg comes down on the device in an awkward position. Technology – Another nice feature of this treadmill is its intuitive digital console system that empowers the runner to control the device with ease. Unlike other treadmills that generally force users to navigate through deep menu systems to change settings that simply don’t make sense, this one allows users to make quick changes while on a run. It offers functions that the manufacturer dubs “quick key” functions, which enable the user to simply tap the control panel while running to make drastic changes to run speed during a running program. It even includes advanced functions like a workout log that allows users to look back on their past performance or load previous running scenarios. This lets users meticulously track their progress as they improve and make adjustments along the way. Safety and Usability – While the menu system is intuitive, it still doesn’t sacrifice advanced functionality for the sake of usability. The Precor treadmill offers users advanced metrics where users are able to see graphs and charts of their past performance. Users are even able to develop custom programs based on their weight and age which is designed to put them on a course of action that either puts them in better cardiovascular shape or helps them lose weight. The device even includes features like a magnetic safety key and password protection to ensure that young children won’t be able to access the device. This is great, since some parents often leave their keys attached to the machine and leave it vulnerable either to being stolen or used by a child. Extra Features – In addition to these main advantages, the device also includes hundreds of other features. During long workouts, treadmills can often overheat and lead to damage when used in this way over a long period of time. With this Precor treadmill, integrated flywheel fans are included to keep the device at cool temperatures even during extended use. The motor offers 3 horsepower and performs at cool temperatures while still providing great amounts of power and torque to keep the machine propelling forward. No Color Screen – One downside of this device is the fact that it doesn’t have a color screen, which would be nice to see in today’s age where digital technologies are taking off. While the device offers advanced functionality on the digital display systems, it still would be nicer to be able to see more detailed information that can be displayed with these color systems. No Data Export – It would be nice if this device had a way that users can connect it to a computer in order to take data off of it for advanced workout functions or calculations. No Mobile Device Support – In today’s world, integration with modern-day mobile devices such as iPhones or iPads make it easier to utilize data from workout programs while on the go. It would be nice to see these features on the Precor treadmill in the future. Despite these disadvantages, the Precor 9.33 treadmill is still an extraordinary treadmill that is great for home use. It can be used by either advanced runners or those that simply need a quick morning walk in order to stay healthy. Those that own this device will certainly be able to enjoy a longer life expectancy and improved ease-of-use.